Henry Addington, born on 30 May 1757, was eldest son of a successful London physician, Dr Anthony Addington. He passed through Winchester College and other schools on his path to Brasenose College, Oxford, and then Lincoln’s Inn, becoming a barrister in 1784, the same year in which he was returned as MP for Devizes. He made little impact in the House of Commons before his election as Speaker in June 1789; a position he gained in part through the influence of Prime Minister William Pitt, whom he had known since childhood, and who he loyally supported. He held this office until 1801, and enhanced its reputation, being re-elected twice without opposition. When Pitt resigned as Prime Minister in 1801 over the issue of Catholic Emancipation, both Pitt and George III identified Addington as the obvious successor. In office he declared the pursuit of peace as his government’s priority, not least on the grounds that further military conflict was financially unaffordable, and his government negotiated the Peace of Amiens with France in March 1802. The peace allowed a period of coordinated administrative and financial reform along Pittite principles, with Addington in effect delivering the first budget speech to Parliament in April 1802. Abortive negotiations to strengthen the ministry politically, combined with a deteriorating international situation, weakened the government. Once war recommenced in May 1803 (Addington making the declaration in the Commons wearing military uniform! ), the administration was attacked in Parliament by Pitt, who eventually declared open opposition to Addington's ministry. On 10 May 1804 Addington resigned. 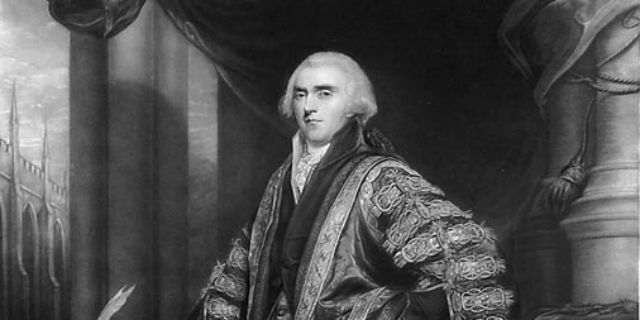 Addington, now Viscount Sidmouth, briefly returned to government as Lord President of the Council in Pitt’s second administration, and then served in William Grenville’s ministry. His resignation in 1807 left him out of office until in 1812, when Lord Liverpool asked him to become Home Secretary. He continued in this office throughout the years of economic distress and radical political activity that marked the period after the battle of Waterloo in 1815, acquiring a popular reputation as an architect of repression and a ‘high tory’ reactionary. Such views were encouraged by his devout Anglicanism (at a time when legal disadvantages were imposed on non-Anglicans), his opposition to both parliamentary and tariff reform, and his stress on the constitutional role of the monarch. The growing prominence and influence of George Canning, often presented as the embodiment of a new liberal Toryism, was one factor in his retirement from politics in 1824, two years after he ceased to be Home Secretary and 20 years before his death on 15 February 1844. However, not only was Addington’s contribution to British politics more substantial than that of an unimaginative reactionary, but in achieving high office through his talents and despite his relatively modest origins, he marked a change in the social dynamics of British political life from which Canning and other more reformist figures would later benefit. Treaty of Amiens 1802: temporarily ended hostilities between UK and France. Son of The Elder Pitt’s Physician Anthony Addington. Copyright Professor Arthur Burns. This article was produced as part of the No10 Guest Historian series, coordinated by History & Policy. Because the pursuit of PEACE was his main priority I think he must have been a good person and he said it made more financial sense to avoid wars !!! As a descendant of this man, I'm proud to read about his views on peace, especially about saving money by keeping the peace. Wish we Americans would have this view. I have been told that I am a descendent of Viscount Addington.